There are times when the very existence of a movie proves puzzling, puzzling because the content of the movie has already been covered in greater depth, and with far more fidelity, elsewhere. Such is the case with Devil’s Knot, an exploration of the Robin Hood Hills Murders that took place in West Memphis, Arkansas on 5 May 1993. On that fateful day, three eight year old friends – Stevie Branch, Christopher Byers, and Michael Moore – disappeared. Their bodies were found in a muddy creek the following day. It didn’t take long for the police and the local community to ascribe the murders to a Satanic cult believed to be operating in the area. It wasn’t long either before the police had three suspects firmly in their sights: teenagers Damien Echols, Jason Baldwin, and Jesse Misskelley Jr. After Misskelley Jr was interrogated for twelve straight hours, he confessed that all three were involved in the deaths of the children, and all three were subsequently arrested. At their trials, Misskelley Jr and Baldwin were sentenced to life imprisonment, while Echols was sentenced to be executed. The problem with Devil’s Knot is not just that it’s another movie “based on a true story” and with all the limitations that usually apply, but that the story of the Robin Hood Hills murders and the West Memphis Three (the accused) have been so well documented elsewhere. There are currently four documentaries available that cover the case, and which do so in more depth, and with greater clarity of purpose. They are Paradise Lost: The Child Murders at Robin Hood Hills (1996), its sequel, Paradise Lost 2: Revelations (2000), a further sequel, Paradise Lost 3: Purgatory (2011), and a separate entry which covers the whole story, West of Memphis (2012). With all these excellent documentaries on offer (particularly the first one, which is nothing short of exceptional for the access the makers had), it remains surprising that Devil’s Knot was actually greenlit in the first place, let alone made. 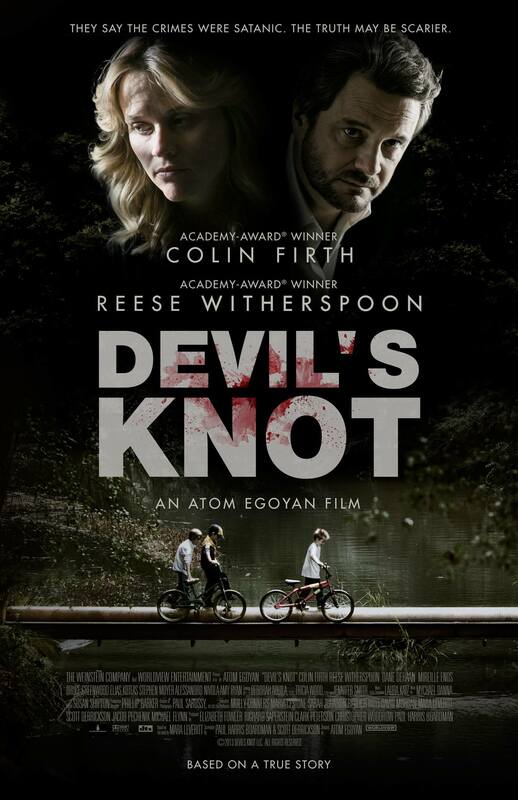 Adapted from the book of the same name by Mara Leveritt, Devil’s Knot benefits greatly from having Atom Egoyan perched, however precariously, in the director’s chair. He’s a very talented movie maker, but he’s never seemed as comfortable as when he’s working from a script he’s written himself, and this proves to be the case here. Making the most of a script that doesn’t really tell us anything new and which can be found dramatically twiddling its thumbs from time to time, Egoyan shows occasional flashes of the erudite and ambitious director who has given us such modern classics as Exotica (1994) and The Sweet Hereafter (1997). But these are few and far between, and there are long periods where Egoyan feels like a jobbing director who hasn’t been able to connect with the material – and doesn’t know how to. And yet, conversely, there are moments where he does, and these contain a quiet power that is indisputably effective (and affecting). Somewhat inevitably, the script tries to pull in various different directions, and by doing so, tries to cover too much ground all at once. This leads to scenes feeling unnecessarily truncated, and others feeling like filler. In its efforts to tell as much of the story as possible, the movie proves disjointed in its approach to the victims’ families – only Witherspoon’s grief-stricken mother, Pamela Hobbs gets a look in, and then only because she begins to believe Echols and co aren’t guilty – while the holes in the police investigation (and there are dozens of them) are allowed to go by remarked upon but under-emphasised. 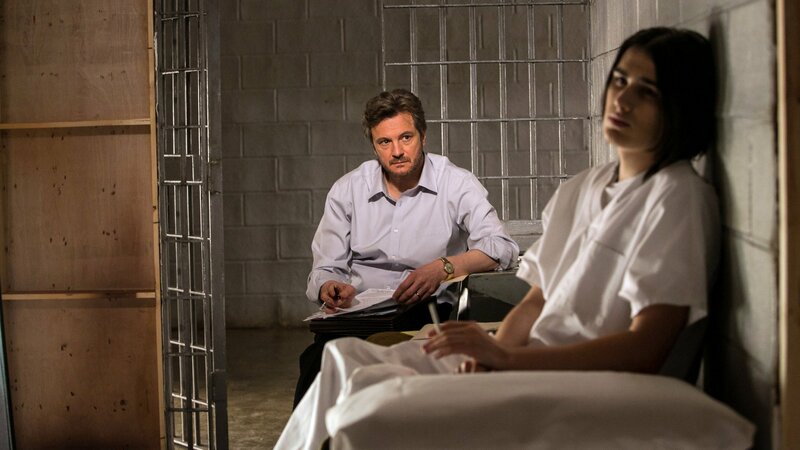 The trial scenes take up most of the second half of the movie but serve only to show that justice is not only blind in some US courts but sometimes half asleep as well, a situation that we’re already way too familiar with for these scenes to carry any appreciable weight. Egoyan gamely makes his way through them, throwing in an occasionally interesting shot, but relaying events in a style that resembles a TV Movie of the Week instead of a fully-fledged feature. With the screenplay trying to fit so much in (there’s a reason the documentaries all run longer), it’s inevitable as well that some characters come to feel like observers rather than participants. Terry Hobbs (Nivola), Stevie’s stepdad, flits in and out of the narrative and remains elusive until the movie’s end when we learn something unexpected that relates to him. By the time this happens though it’s too late to have much of an impact as we haven’t got to know him well enough. Likewise for Durand’s scary-stary John Mark Byers, a potential alternative suspect whose day in court is remarkable for the way in which he’s let off the hook by all concerned (even the defence lawyers). Egoyan regular Koteas pops up as an expert on Satanic cults, Linn is the police official who knows his case is full of holes but pushes on regardless, and then there’s DeHaan as another potential suspect, Chris Morgan, who confesses then recants and is allowed to do so while Misskelley Jr does the same and ends up in prison for life. All these roles feel incidental to the overall aim of the movie, which in itself isn’t clear. As an undeniable miscarriage of justice, the movie does more than enough to get that across through some of the evidence that’s presented, but elements such as the local community’s willingness to accept the presence of Satanic cults despite there being no concrete evidence to support this, lands with a thud every time it’s mentioned. More curious still is the decision to focus much of the movie on an outsider, Firth’s crusading legal investigator, Ron Lax. We see him challenging everyone around him to do their jobs properly, and he behaves like a man with a Messiah complex at times, but if the idea is that he’s the viewer’s guide through the maze of “evidence” and supposition that sees the West Memphis Three convicted, then it’s unfortunate but we don’t need him. There’s an awkward scene in the Robin Hood Hills woods between Lax and Pam Hobbs that is pure Hollywood speculation and has no place in a movie that’s striving to be taken seriously as a re-enactment of true events. It’s moments like these, where the script is trying to manipulate its audience, that it undermines its overall effectiveness and leaves the viewer wondering if the movie will ever settle for a consistent tone it can work with. The answer is a resounding No, and like so many other moments or issues this movie has, it’s in too much of a hurry to squeeze in the major plot points, however indifferently at times, and without giving them room to breathe. 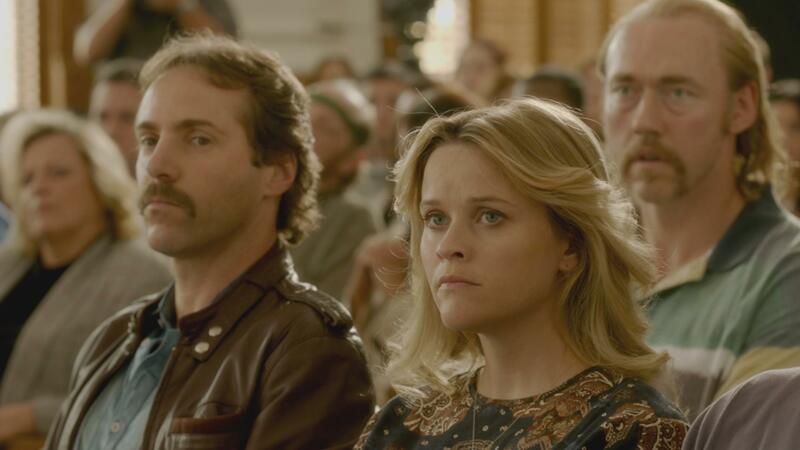 Rating: 5/10 – as the movie equivalent of an unnecessary footnote, Devil’s Knot is only sporadically engaging, and on a severely reduced par with the likes of its documentary brethren; perfunctory in a way that shouldn’t be the case when you consider the story it’s trying to tell, this remains an ill-advised project that could have been a lot worse if it weren’t for the occasionally mindful ministrations of its director.